Congratulations to Lynsey and Aydarus, our High School Scientific Winners for 2018! Lynsey, a graduate of Auburn Riverside High School, will be attending Gonzaga University. Lynsey’s moving story of bravery, courage and perseverance in the face of adversity left an indelible impression on us. We can’t wait to see the amazing things she will accomplish in her life. 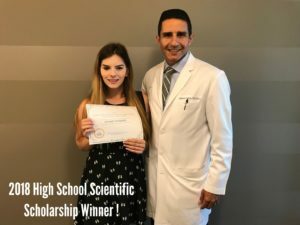 Aydarus, is the second recipient of our 2018 scholarship. Aydarus is a graduate of Tyee High School and will be attending Highline College. In his application, Aydarus shared that “I never gave up. If I had given up, I would not be the same person I am today. It helped me realize that I am fortunate to have an education and continue to learn.” He plans to give back to his community in Somalia and help students access a better education. in 2017, one applicant especially stood out for her courage, bravery and awe-inspiring determination: Noor Al Huda Al Ghezi and once we met her, we knew we wanted to award her with our first scholarship ever. “The timeless in you is aware of life’s timelessness. And knows that yesterday is but today’s memory and tomorrow is today’s dream.” (The Prophet, 1923). After her family fled to Lebanon, Noor joined the Jussor Organization as a children’s entertainer and nurse assistant for Syrian refugees, an experience that inspired her passion for medicine and her goal to become a pediatric surgeon. 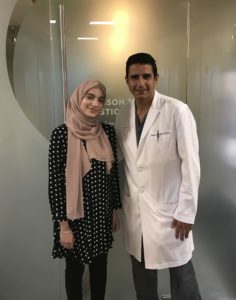 The medical field is not new to Noor’s family, as her uncle is one of the most successful cardiologists in Syria and her brother entered medical school in Damascus. We were so inspired by Noor’s story and personal statement, and delighted to meet her in person. We wish her the best of luck in her studies and look forward to seeing her achieve her goals.